Nurturing and accepting with open hearts. Passionate about worship and praising God using our unique gifts and talents. Creating community with each other and with our neighbors. 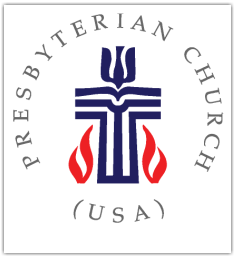 We are a member of the Presbyterian Church USA (PCUSA). NPC was founded in 1830, moved to downtown Norcross in the late 1800's, and to our current location on Medlock Bridge in the early 1970s. Our rich history includes being known as the church in Norcross that fought for integration in the 1960s. If you come in and ask who are we, you will find that we are young. We are old. We are female. We are male. We are lifelong Presbyterians. We are brand new to the Christian Journey. We are former Catholics, Baptists, Episcopal, non-denominational, Lutheran and other. We come every Sunday. We come once every six weeks. We come from many different traditions and heritages. Our common bond is that we know that together we are stronger than we can be alone. We believe that God is love, and in Jesus who incarnates that love. We think that belief must lead to action, and that our actions show what we truly believe. We strive to live into the love of God by loving others, ourselves and the world.